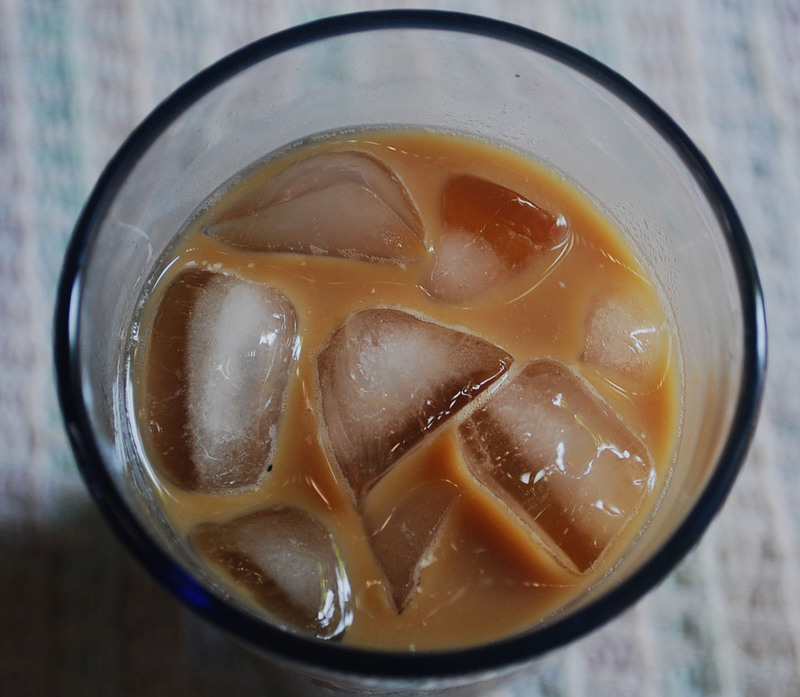 Iced coffee is made in different ways. Personally I like using pure coffee decoction rather than an instant one. A lot of cafes use cream and ice-cream to enhance taste. I have found most of them lacking in basic coffee flavour. Did you know that using a good coffee powder and easily available ingredients in your kitchen, can help you make that “perfect iced coffee”! To soak coffee powder with water, overnight and strain it the next day. Make the decoction first in the percolator and allow it to cool. Once cooled, let it stand for couple of hours in the fridge. You can also use your left over decoction from the previous day. When I follow the first option, I find that it is not only flavored but also the simplest way of making iced coffee without the use of gas or even a blender. The only important thing apart from coffee is to stock up lots and lots of ice. Soak coffee powder with water in a container. Close and allow it to stand in a cool place at room temperature for eight hours or overnight. Strain the coffee liquid the next day. Discard ground. Fill ice cubes till the top of a tall glass. Pour 2/3 of the glass with coffee decoction. Add 3-4tbs of plain milk or condensed milk. Add sugar as per your taste. Mix well and adjust sugar or milk accordingly. Serve immediately chilled. 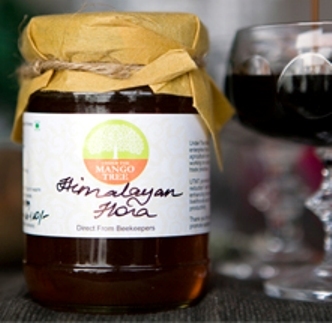 Natural Mantra has got a good range of organic coffee, which can be purchased online. 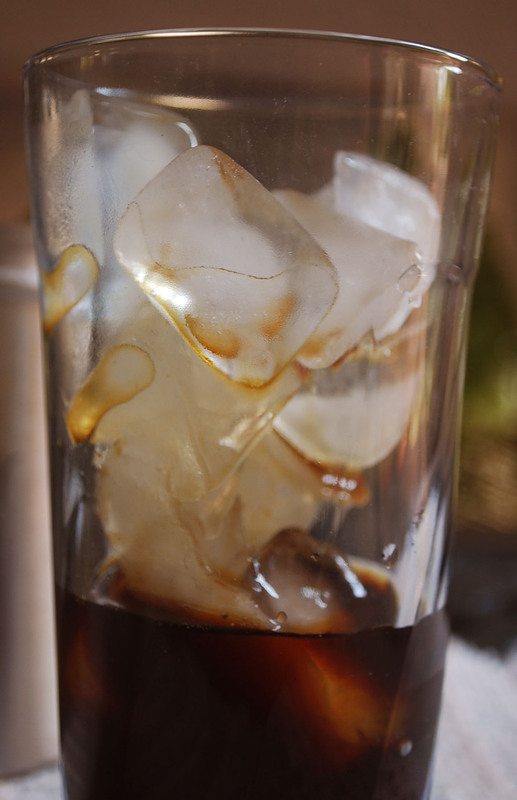 Categories: Healthy Recipes | Tags: coffee, coffee lover, iced coffee, organic coffee | Permalink. Healthy mornings with a cup of perfect green tea! Sundays are usually when I give myself a break and wake up late. This Sunday, I woke up at the crack of dawn. Just one of those days when one doesn’t know why one wakes up refreshed and can’t go back to sleep. 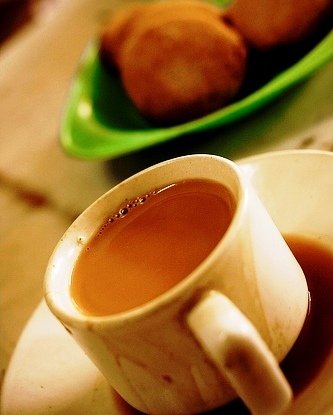 There is nothing quite as relaxing as having a cup of hot chai early in the morning and gazing outside from my little haven. Adrak chai, ginger-lemon tea, black tea, Earl Grey,green tea, lemon tea, mint tea or the good old masala cutting – tea in any of its forms gives a warm fuzzy feeling of total comfort. Sitting at the French window and watching the streets stir to life with my green tea brewed to perfection (mixed with a teaspoon of Himalayan flora honey from Under the Mango Tree – Thank you Emily for helping me procure a natural dark honey) was a great start to my idyllic Sunday. Opting for a healthy Sunday, I chose to drink green tea this week. Water temperature needs to be perfect. If it’s too hot, the flavonoids (the healthy stuff in the tea) make it bitter. Too cold, the tea stays insipid since the flavours are not released. The flavour and sweetness comes from the amino-acids and natural sugars in the leaves while the bitterness comes from tannins or polyphenols. The former bunch dissolves at 60 degrees Celsius while the tannins dissolve at 80 degrees Celsius. So finding the right temperature is crucial. Duration of the brewing: Ideally between 1-3 minutes. The reason this is important is because the bitterness from the tannins will seep into your tea if you leave it for longer than a couple of minutes. Usage of tea bag and tea leaves makes a difference. I used to use tea bags. But they have to be dipped continually so as to aid in the release of fragrances and not just dipped once and left in. 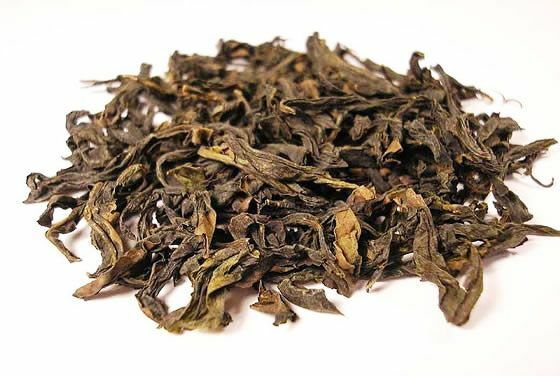 But with tea leaves, you can just pour the water over them and then strain after steeping. Bring the water to the boil. Turn off the gas. If you use a microwave, I’d say about a minute on high micro-power should do it. Wait for a minute. Day-dream. Look out the kitchen window. Place the tea bag or the leaves in a cup. Pour the warm water over the bag or leaves. Leave it for a minute or two. Sit back, relax, and enjoy your cuppa. 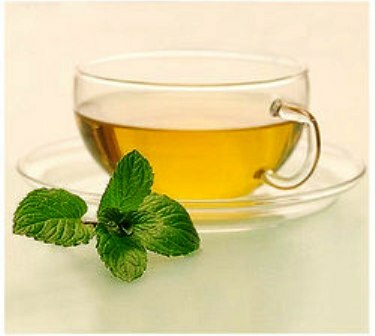 Steeping time should be balanced with water temperature: the lower the temperature, the longer the tea can be steeped. But remember, it has to be steeped at a minimum of 60 degrees Celsius for proper release of the amino-acids and sugars. Enjoy your cuppa as you contemplate how you helped improve yourself today by taking a step towards living a healthier lifestyle. Categories: Healthy Recipes | Tags: green tea, health, healthy drink, honey, natural honey, organic honey, organic tea, tea | Permalink. Holi is here and the excitement is building up! I’ve begun wondering which old t-shirt is going to face the axe on March 8th! I’m a Rang Panchami party pooper. I don’t allow friends to put any colours on my face. Ever since a close friend of mine got an allergic reaction after Holi, I’ve been reluctant to participate in the annual Indian face-painting fest. And later, I discovered, it was with good reason. The colours that one buys off the road-side vendors on Holi,(and yes, the best of us do that when we have run out of Gulal at the last minute) are full of harmful chemicals. Here’s a short list of ingredients that make up the colours that are or can be harmful for us. The green is next. The malachite green colour compound is derived from copper sulphate which causes eye allergies and can also lead to temporary blindness. 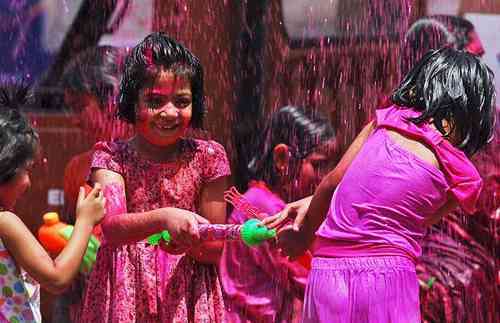 Paediatricians often remark that skin and eye allergies rise in number after the festival of Holi. 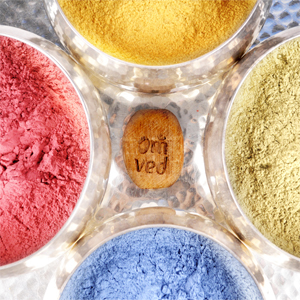 The yellow colour powder among all the regular Holi colours has the highest lead content. The Prussian blue chemical from which the blue colour powder is derived has been known to cause contact dermatitis. The purple or dark pink gulal may contain chromium iodide which can irritate the lungs and may also lead to asthama. 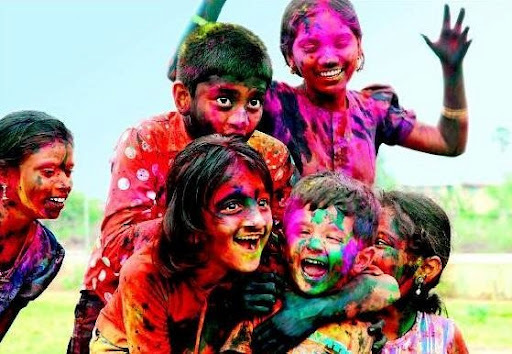 Since the Holi colour market is unorganized, a lot of cheaply available industrial dyes are used to produce these colours making them harmful for humans in their immediate consequences as also in the long term illnesses they may trigger. These colours usually use silica, mica and other chemicals as a base. Furthermore, the pollution caused by these colours is potent in terms of quantity and level of toxicity to a lot of surface and ground water sources. These colours are also much harder to wash off so we end up using more water to scrub them off. Here’s how you can go natural and organic and have a chemical free Holi-day with a lot of cheer! Turmeric and chickpea flour mix for yellow. Proportion of turmeric to besan ideally should be 1:2. One spoon of haldi for two spoons of besan. This is also an excellent face pack when mixed with water. Use homemade sindoor as a red gulal. It will be saffron when dry. (Homemade kumkum recipe – Mix the lime powder used on betel nut leaves with a bit of turmeric and a tiny amount of water.) Or dry hibiscus flowers for a few days before using that powder as a deep red gulal. 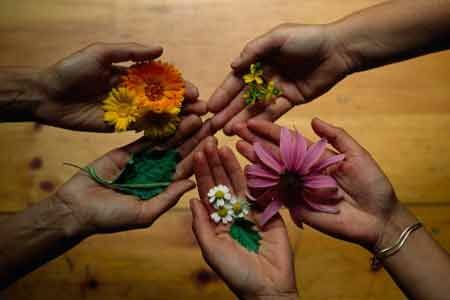 For green – henna or dried gulmohar tree leaves are an easy solution. Henna might leave a light orange tinge if it gets wet while on your skin and is not taken off immediately. For blue, dry jacaranda flowers and then powder them. Encourage children to make these colours and “pichkaris” with you. The above video shows you how you can recycle used water bottles to make your own water sprinkler for Holi. Apart from keeping kids busy, this will help keep them involved in the festival in its entirety and learn about the environment and the need to protect it. 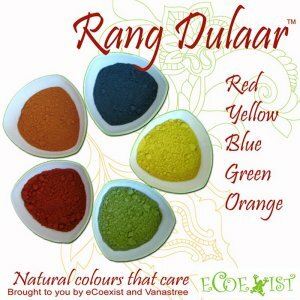 If you do not have the time to go through the lengthy process of making these colours at home, NaturalMantra.com offers a variety of non-toxic natural Holi colours delivered at your doorstep. Check out the different safe, non-toxic, 100% natural colours that ensure protection of your health and that of the environment.